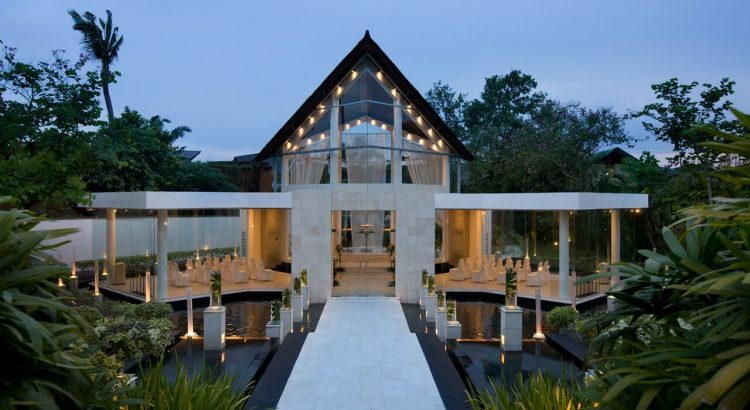 Santi Chapel is a stunning glass and water Chapel, located at The Kunja Villa & Spa in Seminyak, center of Bali famous tourist destination. 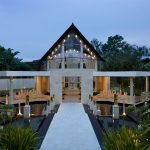 From the front entrance of the Santi Chapel grounds, you are greeted by cascading terraces of water in the image of Bali’s rice terraces, enveloping an award-winning glass chapel perched on an island of green. 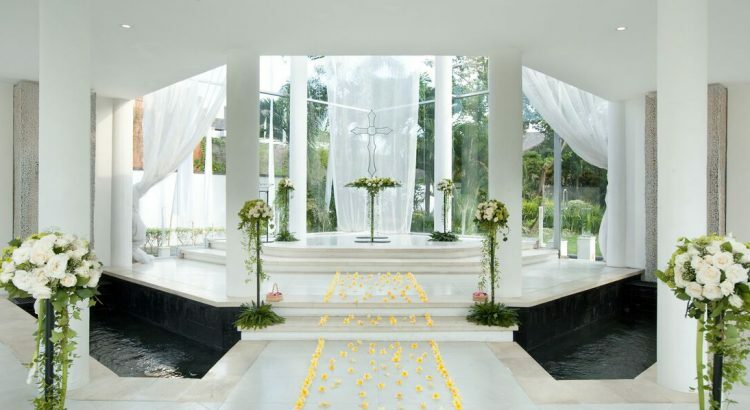 Choose a Daytime wedding in this tropical garden under blue skies, and in the peace and quiet of the air-conditioned chapel. 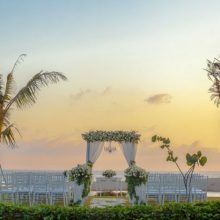 Or choose a Night time wedding in the dramatic and magical Bali night, in the reflection of candlelight and amazing lighting from within the pools of water surrounding Santi Chapel. 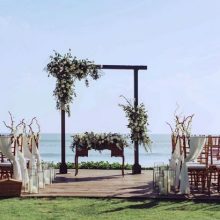 This unique blend makes Santi Chapel is one of best Bali Wedding Chapel in the Island of God for your memorable day and lifetime experience. 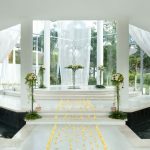 •Above package is including Government taxes and our service.